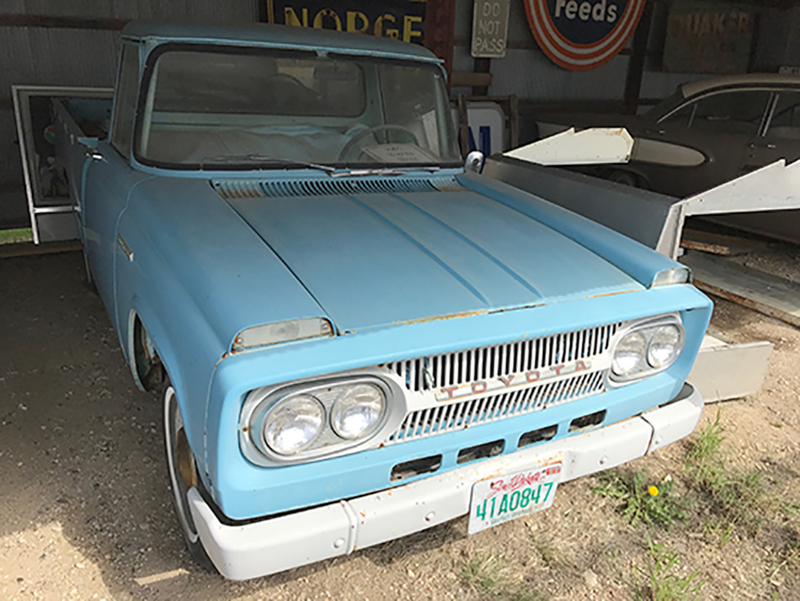 Vintage pickup is the kind of stuff enthusiast dreams are made of. And running across a mostly stock Stout is better than spotting Bigfoot. 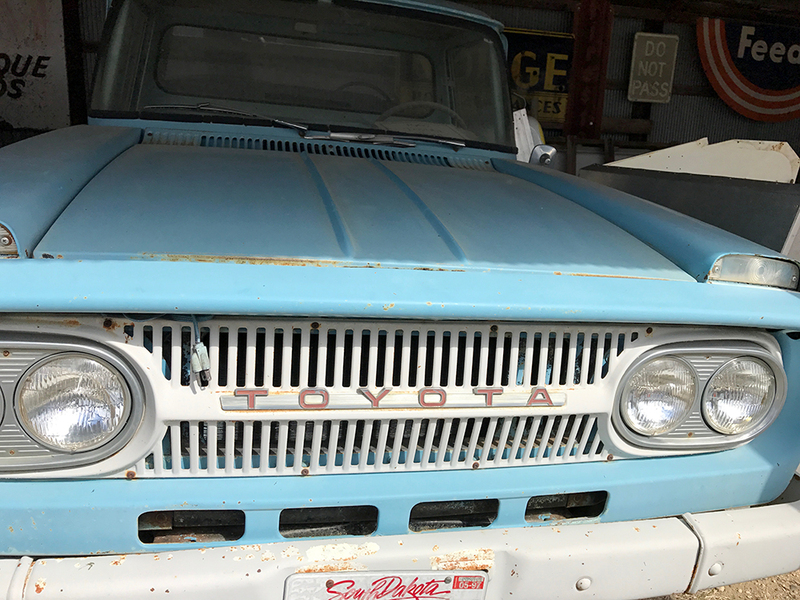 In one of the most unlikely places, we stumbled across one of the least-known Toyota vehicles in the company’s long history and the answer to many automotive trivia questions. A baby blue 1967 Toyota Stout. Sitting behind a metal fence and looking fully stock, the Stout looked mostly stock. 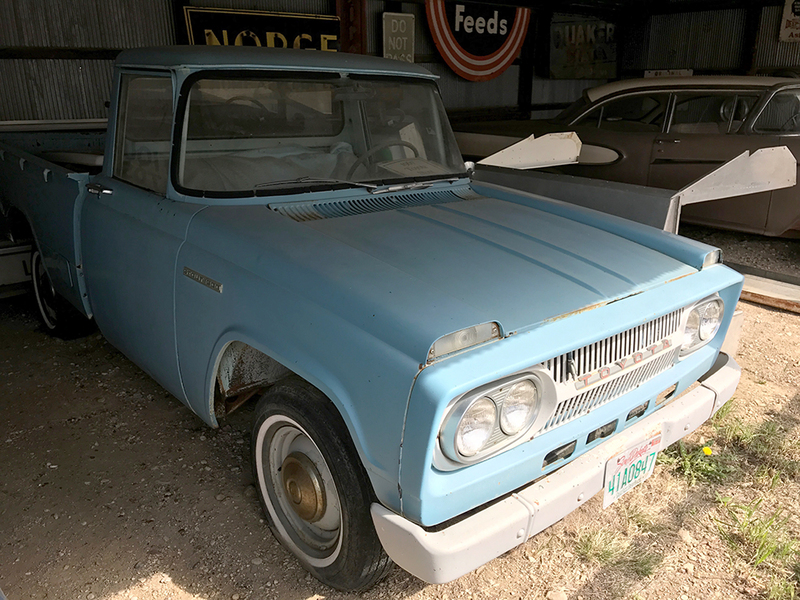 This compact pickup is a rare find since it wasn’t a big seller and its limited run. It was introduced in 1964 and saw only four units sold. 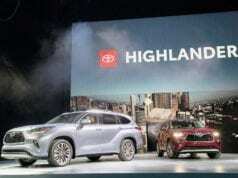 Toyota continued to offer it up until 1969 in the U.S. The Light Stout 1900 pickup sold in the U.S. was equipped with a 1.9L 3R engine and was a two-door, three seater compact pickup. It rode on a ladder frame chassis with leaf springs and drum brakes. Notable on the model we found are the double headlights and the hood mounted turn signals. We were unable to see the rear of the truck, however. But below is a photo from Toyota of what the rear would have looked like with the tailgate running the width of the bed, and featured taillamps. Worldwide it was offered as a double-cab pickup and a two-door panel van. The truck had a wheelbase of 102.4 inches and was 168.7 inches wide. It tipped the scales at 3,131 lbs and was 68.9 inches tall. 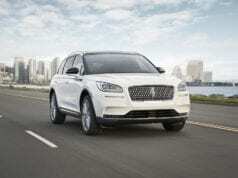 For the U.S. market, it was primarily assembled in Thailand. 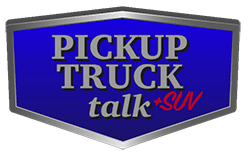 Officially, this is the second generation of this pickup for Toyota, with the Toyopet RK 1 1/4–ton truck leading off their interest in this area. 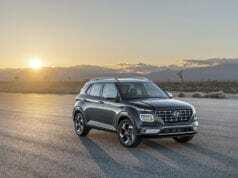 The RK would not be sold in the U.S. Through the years, the Stout was enlarged to meet demands about limited cabin space while still keeping within the 1951 Japanese Government’s Road Vehicle Act to stay within a maximum of 4.7 meters (185.0 inches). 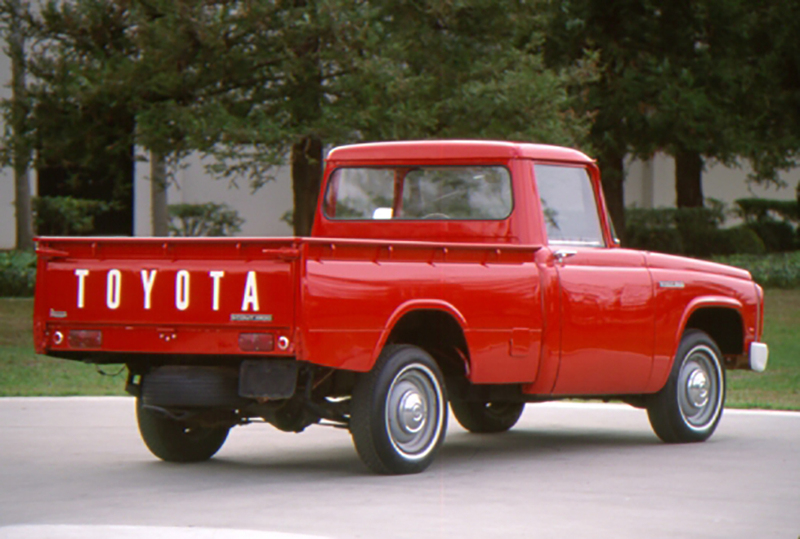 In 1969, Toyota brought over the Hi-Lux as it sought to be a strong competitor in the U.S. truck market. Things didn’t really take off until Toyota built the first compact pickup with 4WD in 1979. After 1969, the Stout was replaced by the smaller Hilux in North America while many markets sold the Hilux and Stout side by side. 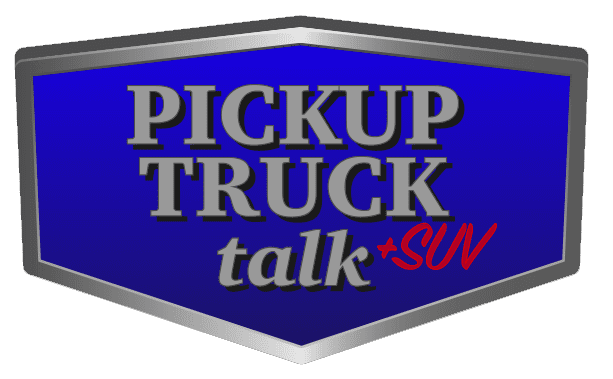 The truck went through another change in 1979 and was unceremoniously discontinued in 1989. With the Hilux still being sold worldwide and the larger size of the Stout, some think the Tundra is basically the successor of the Stout. However, there is no direct, factual correlation with the Toyota T100 introduced in 1992 – years after the Stout was killed off. Finding this model in a dimly light auto museum in Murdo, South Dakota, was certainly a surprise, but not shocking. 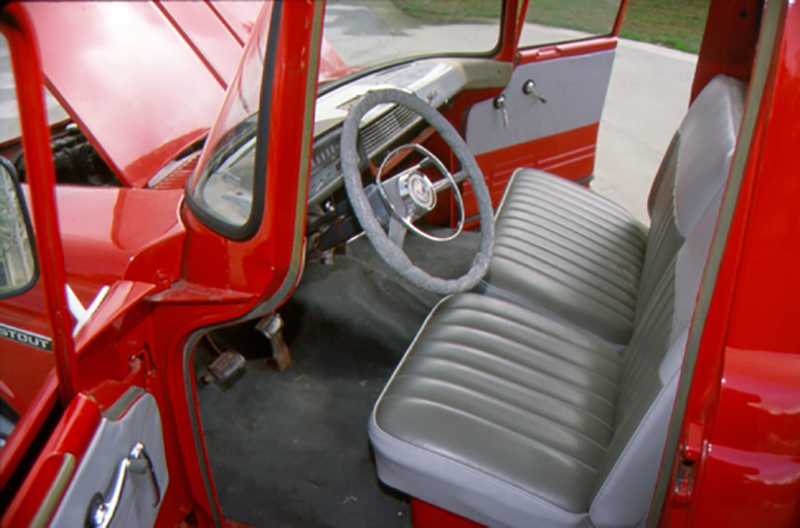 These small pickups were big hits with farmers who needed a cheap pickup with easy access to the bed. In fact, it isn’t so surprising to see Toyota Hi-Lux trucks and other trucks here and there. Yet, finding a mostly stock Stout was certainly very cool.